Quilt Kit includes Autumn Love Quilt Pattern by Lori Holt and Autumn Love fabric for the 74" x 84" quilt top and binding. 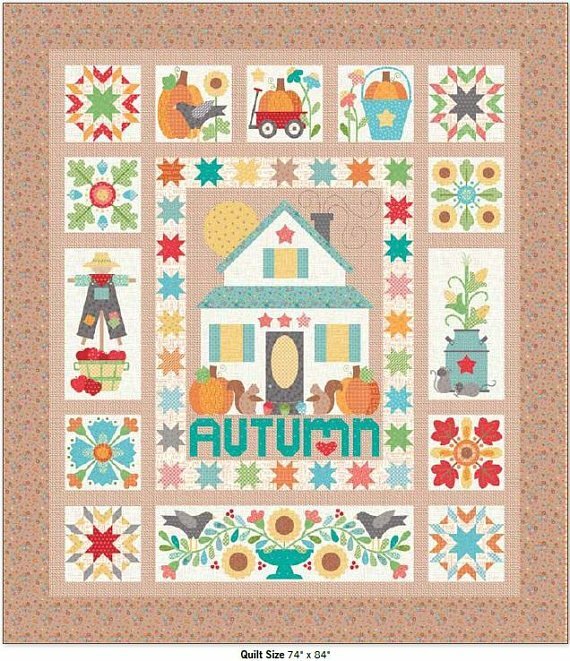 Your Autumn Love Sew Simple Shapes are sold here. Block patterns will be available on Lori Holt's Bee in my Bonnet Blog starting August 20, 2018.